Developed on the same Datasat platform as our audio processor systems for professional cinema, the RS20i delivers a new dimension in surround sound excellence. Audio is transparent and true-to-source to ensure that the listening experience is every bit as stunning as the visuals.Designed by the Datasat engineering team, the circuitry design and audio quality is second to none. Including such features such as memory profile settings, stackable multiple EQs, room optimisation/correction and extensive automation controls (not previously seen in high end audio processors) the RS20i is a cut above the competition.Dialog is crystal clear, sound tracks sound like they are being played from the original mixing desk and features such as HDMI v1.4a mean the RS20i can also seamlessly handle 3D video content.The RS20i is a professional sound solution. 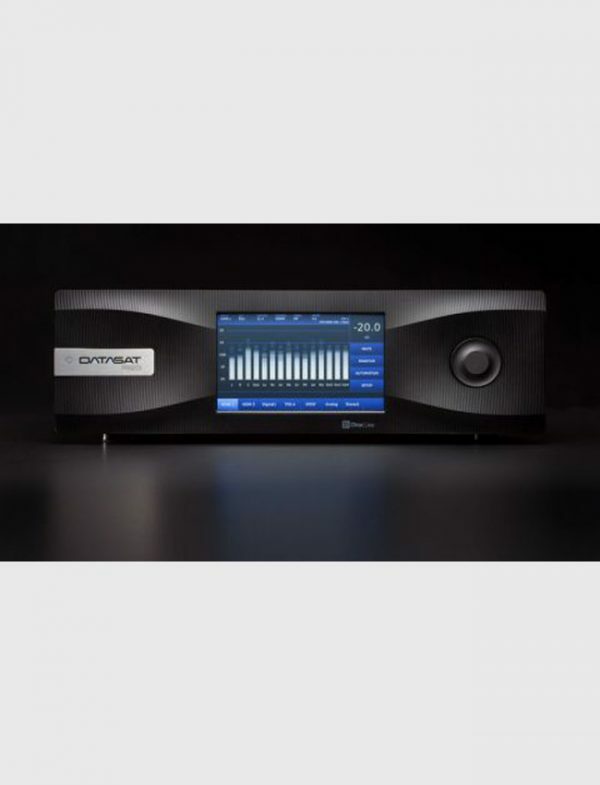 Once configured, it is easy to manage with all the power of a cinema audio processor available at your fingertips through your smartphone, iPad or laptop.Datasat’s entrance into the high end consumer market is a natural progression based upon its many years in the professional cinema market. 16 channels of digital audio With 16 channels of digital audio available, the RS20i supports up to 85 digital and analog inputs as well as 34 audio outputs. This amount of outputs allows the audio processor to accommodate all surround sound formats currently available – including true 3D sound. In addition, three expansion slots allow for the easy addition of extra channels in the future. Extensive equalization functionality The RS20i comes with 31 bands of third octave and three user-adjustable bands of parametric equalization on every channel. In addition, each channel includes low, high and bandpass filters to deliver a stunning clarity of sound. Superior punch bass management Advanced bass management features include full and user-adjustable bass control on each individual screen and surround speakers. The RS20i supports up to 4 sub-woofers with your home cinema system to enable enhanced surround settings such as 11.1, 12.2 or 12.4. Market-leading room optimization The RS20i is the only home cinema audio solution to feature the market-leading Dirac Live® room optimization technology. It delivers the most advanced impulse response correction available to deliver the widest listening sweet spot where the audio is tuned to create the most natural and immersive listening experience for the individual listener. Individual channel and global delays mean that you can position speakers to provide the most natural listening based on a central viewing point. 20 memory presets The essential elements of your home cinema audio can be quickly and easily saved. Elements such as room equalization, sound levels, and input and output set-ups are captured for every type of content that you wish to enjoy through your home cinema system – movies, music, HDTV or live events. These memory presets can be easily transferred to a memory stick for safe storage and retrieval. 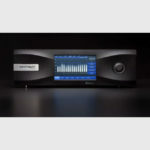 Wide-ranging support for content types The RS20i supports all the major audio decoders from Dolby and DTS as well as an extensive choice of digital, analog and HDMI audio and video inputs. This allows your home cinema system to accommodate an extremely broad array of content types including 3D video passthrough. Ease of management The RS20i presents you with a number of features to make management flexible and convenient. In addition to a range of remote control options – including smartphone, tablet and laptop support – the system includes Ethernet and RS232 connects with up to 20 user-defined set-up and operational profiles.